(MENAFN - Muscat Daily) Muscat- Mwasalat is working on a number of initiatives to expand services on Muscat-Dubai route and launch city services in Sohar and Salalah. The service on the Muscat-Dubai route will be worked on in collaboration with Roads and Transport Authority (RTA) Dubai. 'We are running three trips to Dubai on daily basis. Soon we are going to sign an agreement with RTA Dubai for providing joint services. This will benefit Oman too as Dubai is planning a big event in 2020 which could see increase in passenger traffic in both directions,' said Ahmed al Bulushi, CEO, Mwasalat. The agreement will be signed before the end of this year. Mwasalat is also looking at introducing self-driven buses in the next five years and is also going to set up a number of solar-powered air-conditioned bus stops. Bulushi said despite running into losses the company will continue to ensure that services are affordable for everyone as it will help reduce congestion in the city. 'Today, we are carrying 17,000 passengers daily. So it is helping in reducing traffic congestion on roads in Muscat,' he said, while adding that the company is already covering 90 per cent of the city. 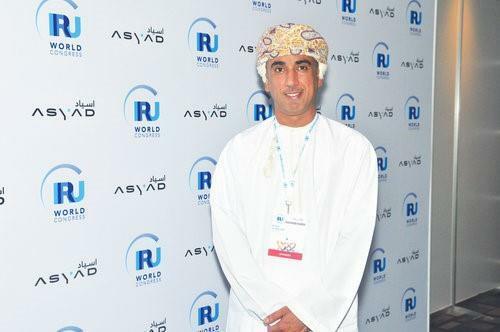 Bulushi said the company could have completed 100 per cent city coverage by the end of this year, but it is now focussing on launching city services in Salalah and Sohar. 'We are also expanding services to Salalah and Sohar, where we would be launching first city services before the end of this year,' he said. Bulushi said the company is looking at using automation and artificial intelligence to improve services. 'We are studying it (self-driven buses) and plan to deploy such vehicles on roads in Oman in the next five years, but not as a full solution,' said Bulushi.